Layers of Fear is a first-person psychedelic horror game with a heavy focus on story and exploration. 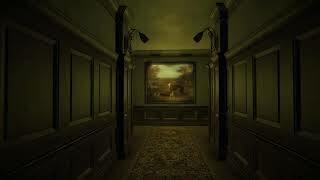 Delve deep into the mind of an insane painter and discover the secret of his madness, as you walk through a vast and constantly changing Victorian-era mansion. Uncover the visions, fears and horrors that entwine the painter and finish the masterpiece he has strived so long to create. "A breadth of fresh scares"
Layers of Fear (PC) is ranked #1024 out of 1434 total reviewed games. It is ranked #94 out of 138 games reviewed in 2016.